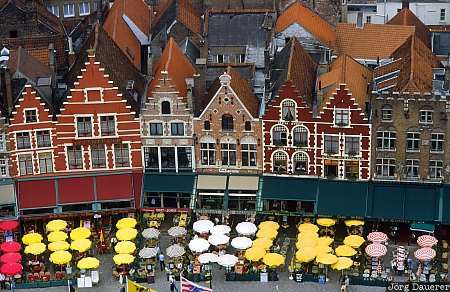 The houses of Bruges with their typical facades at the market square seen from the tower of town hall. Bruges is in Flanders in the north west of Belgium. This photo was taken on a cloudy Sunday in September 1997.